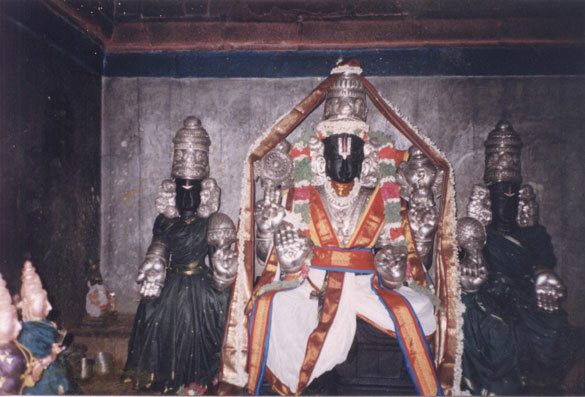 Thingalur is the sthalam for Chandran. Thingal in Tamil means Chandra. 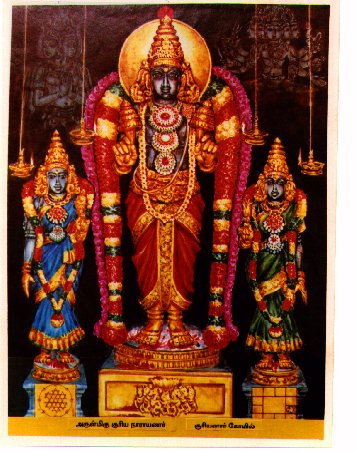 The presiding deity is Kailasanathar and his consort is Periyanayakiaamman. 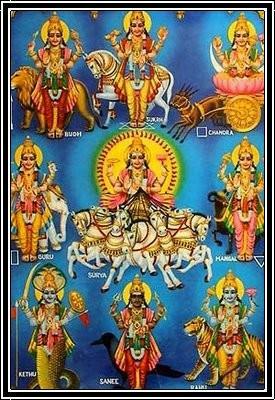 Chandra Dosham causes concern mother’s health, mental imbalance, skin and nervous disorder and jaundice. 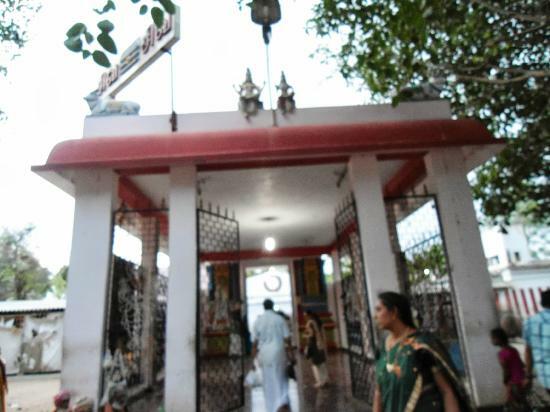 Chandran blesses his devotees who pray here with wealth, mother’s wellbeing, wife’s happiness, prosperity, marriage and offspring. Mondays are special days for Chandran. Offering of raw rice pudding mixed with jaggery, white flowers and white clothing are made to Chandran. 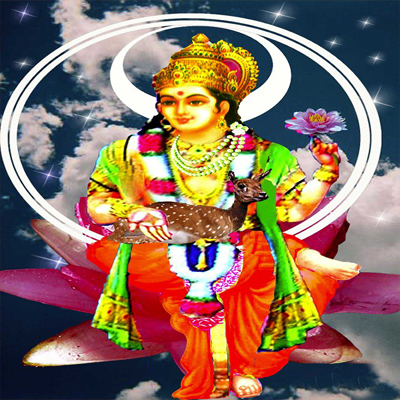 When Lord Vishnu was distributing the Amrutham amongst devas, at the behest of Sukracharya, one of the asuras in disguise of a deva consumed the nectar. Suryan and Chandran noticed this and complained to Lord Vishnu. Angry Vishnu used his chakra to cut the asura into two and threw them away. The head joined with a snake’s body to become Rahubhagvan. The body portion kept growing because the asura had consumed Amrutham. This later joined with the head of a snake and became kethubhagavan. Now, Rahu andkehtu did not forgive Suryan and Chandran. Rahu went after Chandran and started consuming him. It is here that Chandran prayed to Lord Shiva and got his blessings. Shiva blessed Chandran with the power to grow back in full size in 15 days after being consumed by Rahu.